being little • bristol uk fashion & lifestyle blog. : red letter day. You're such a cutie! 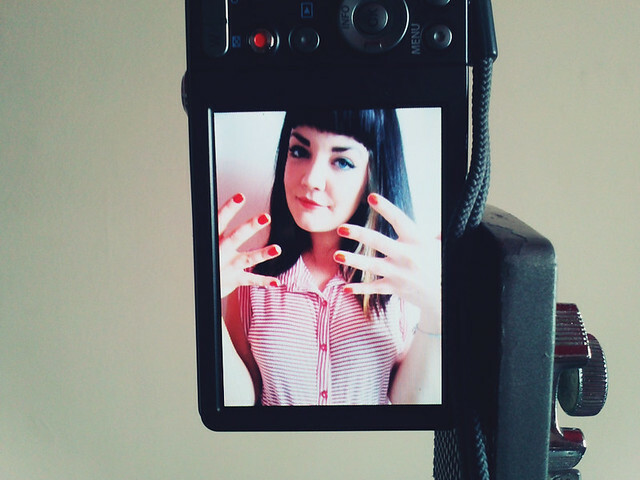 Love the nail polish, yo. Umm, I'm coming round for Mac and Cheese. P.S Just published a blog post for invalids...share it with other invalids. Hahahaa. I really love your red skirt - it's adorable! I hope the weather perks up here soon! The skirt is really cute, and there really is nothing better than spending time with babies to cheer you up! Cute outfit! 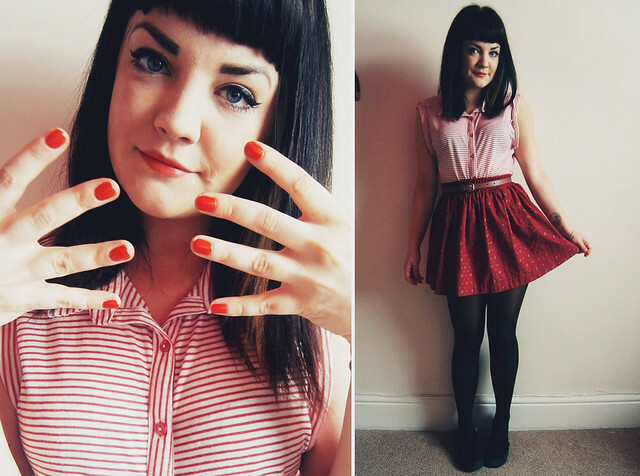 I love the red stripe top. your outfit is super cute, the skirt is amazing, where did you get it? Lovely outfit! I adore your hair as well - perfect little bangs! And that nail color is super pretty. I love this outfit. Your shoes are amazing! 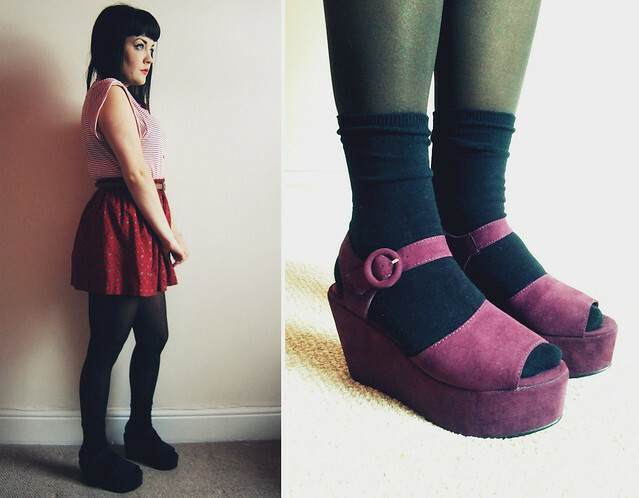 Those flatforms are lovely and they look great paired with socks! Macaroni cheese is the best! I haven't had it in so long! Love the outfit! The flatforms are so so nice, I want a pair!